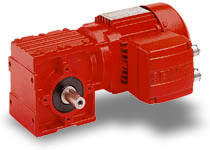 We offer a wide range of products, from fractional gear drives to large industrial gears. And with more than 1.2 million configurations possible, we're set up to provide custom systems to fit your exact specifications. Output torques to 159,300 lb-in. Output torques to 35,400 lb-in. 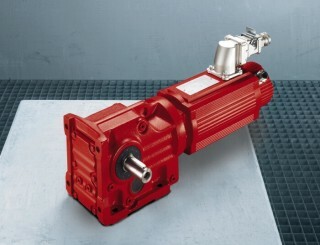 0.5 HP with torques up to 350 lb-in. 1.0 HP with torques up to 620 lb-in. Output torques to 64,800 lb-in. Output torques up to 427,455 lb-in. 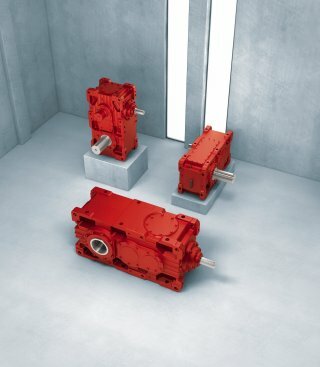 The in-house development of SEW-EURODRIVE's new X-Series heavy industrial gear units is nearly unrivaled with its fine size graduation that covers the medium torque range from 58 to 175 kNm (43000 to 129000 ft-lb). The large number of pre-defined accessories offers a high degree of flexibility for adapting to a broad range of application situations . with a minimum of components at maximum utility.